PORT OF SPAIN, Trinidad, Jan. 28, CMC – The Seismic Research Centre at the University of the West Indies St. Augustine campus, says the twin island republic could experience a significant magnitude earthquake at anytime. According to the centre, on Friday there was a burst of earthquakes including moderate magnitude events at 10:40 am, 10:47 am, 4:30 pm and 6:05 pm (local time), occurring west and south-west off Trinidad. 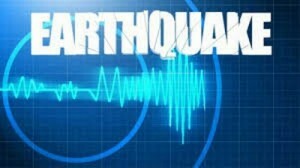 The UWI Seismic Research Centre in a press release said in all, there were nine events. The Centre noted that a significant earthquake might occur in the general area of these events or elsewhere in the vicinity of Trinidad and Tobago, which lies in an area where significant magnitude earthquakes do occur. “For example, in the general area of today’s events, there were two earthquakes both of magnitude 6.5 in 1935 and 1945. We should, therefore, always be prepared,” the centre said. All the way north, Montserrat and other islands are alerting residents to Tsunami warnings.